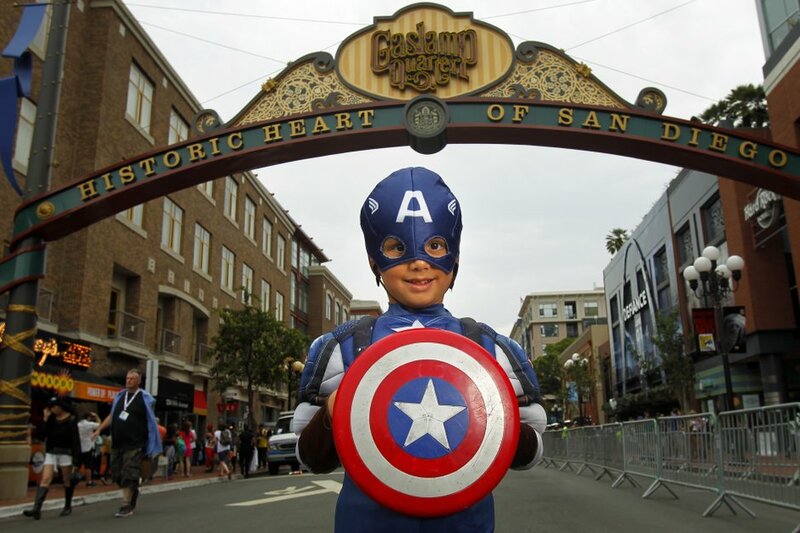 This weekend was the annual Comic-Con event that’s held every summer here in San Diego. Nearly a 130,000 people visit the convention that celebrates a variety of comic arts and pop culture elements like animation, horror, science fiction, television, and movies. People Like to Wear Masks — Comic-Con is like an early Halloween. Attendees often wear the outfits of their favorite comic/TV/movie characters and over the years I’ve seen Wonder Woman, Darth Vader, Chewbacca, Storm Troopers, Zombies, Spiderman, Superman, Batman, and just about every other “___man” character out there. In the workplace people like to wear masks to hide their fear and insecurities. Leaders have the responsibility to develop trusting relationships so their people aren’t afraid to be authentic and vulnerable. Passion is Powerful — Why did tens of thousands of people mindlessly go through the motions at work this past week and then suddenly turn into excited, engaged, and passionate (obsessed?) participants at Comic-Con? It’s because Comic-Con taps into their optimal motivational state by allowing them to demonstrate their competence (everyone is an expert at Comic Con), develop a sense of relatedness with others who share their interests, and celebrate their autonomy and individuality (hence the freedom and encouragement to wear costumes). Workplaces that want to tap into the discretionary energy of their employees should look to incorporate these same principles into the work people perform and the organization’s culture. Everyone Wants to Belong — People from all walks of life are not only welcomed and accepted at Comic-Con, they experience a sense of belonging. Two weeks ago I wrote about the difference between fitting in and belonging and Comic-Con is a real life example of where geeks, nerds, kids, adults, industry experts, and Hollywood stars are all on equal footing. A primary goal for leaders is to develop a team culture where their people feel they are valued for who they are, not just what they can do. Comic-Con is a one-of-a-kind experience that always offers something new and unique. Wouldn’t it be cool if we could design our workplaces to offer the same sense of excitement, commitment, and engagement? Feel free to leave a comment and add to the discussion. ← What’s Your ROT – Return on Trust? A fun article! Another one to consider: Innovation Emerges — At Comic-Con, managers plan and organize, but the most memorable situations can happen when a shared interest group gets together and creates something fun and unprecedented. Such moments emerge spontaneously, often under the radar of the scheduled panel speakers and events. Skillful leaders encourage and enable environments where innovation happens, contributing to a sense of endless possibility. That is a fabulous one Kriste! Sounds like you’ve been to Comic-Con! Hi Rand, here in Atlanta we have Dragon Con each year. Although I have never attended, my commute to work is always entertaining. Would you also say that those who dress as super hero also have a deep desire / need to do something important? Perhaps Jon. I’m sure we could do some deep, armchair psychoanalysis here but I think at the basic level people like to dress as super heroes because they have a deep affinity for the particular character. Admittedly, I had not heard of this event until Friday when I learned that one of my vendors was attending. Besides the obvious connection of a love for superheroes, I now understand another part of the attraction. Sounds like fun being anonymous for a day or two. Yes, I agree with your statement of how nice it would be for a culture to include acceptance of who people are and less on just what they can do. Imagine what more we would discover about people if we took the time to get to know them. The added bonus would be additional innovation, excitement, and involvement amongst peers. Creating a safe and healthy culture as you suggest frees people into being more transparent, thus enriching (and hopefully expanding) daily tasks within their roles. Great points Kimberly! I couldn’t have said it better myself. Totally identified with this article. I tend to see how people use different masks to attempt to belong in the environment they are present. Work, family, home, bar, etc. People want to feel they are part of something so strongly that they sacrifice their beliefs and values in order to conform. I find it very interesting how we are willing to be fakes in the name of acceptance. This speaks to the power off emotions and feelings over rationale, processes and rules. Thanks for your comments Juan. We all wear masks from time to time and in different social contexts, and as you say, it’s a testimony to our need to feel accepted. It’s hard work for leaders to create an emotionally safe environment where people can remove their masks and be their authentic selves. Totally agree with the second point, passion is so important in everything we do! Thanks for your comments Ian! The way you’ve related Comic Con to the workplace is incredible. I never would have made the connection myself but now you’ve pointed it out- you’ve hit the nail on the head. I particularly related to the wearing of masks in the workplace to hide fear. Hi Charles. Comic-Con is an interesting experience and those elements I wrote about dawned on me as similarities to leading in the workplace. Regarding masks – it’s not just in the workplace that we tend to wear masks; we do it in all areas of our lives. I think part of our journey in life is coming to a point of healthy self-respect where we can be secure in taking off our masks and being authentic with others.